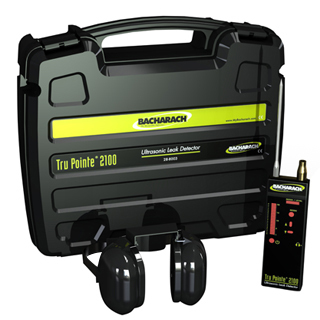 The Tru Pointe® 2100 is an advanced electronic ultrasonic leak detector and condition monitor used by maintenance personnel for leak detection, preventive and predictive maintenance (PPM) and scheduled maintenance in a variety of industries. Using patented signal processing, the Tru Pointe® 2100 the most accurate and repeatable ultrasonic inspection instrument in its class. State-of-the-art digital instrument for leak detection, mechanical inspection and troubleshooting – all-in-one tool! Discover difficult/ elusive leaks and wear problems easily. 2830 TruReward$ points will be placed in your account when you buy this item.